Situated in the deep blue waters of the Indian Ocean and the Bay of Bengal, the tropical island of Sri Lanka, is truly blessed by nature. Its scenic beaches are stunning natural wonders. Discerning travellers from all over the globe head here to get away from the crowds, get back to unspoiled nature and experience this majetic jewel of South East Asia. The gorgeous sandy shores promise adventure, relaxation and even romance. 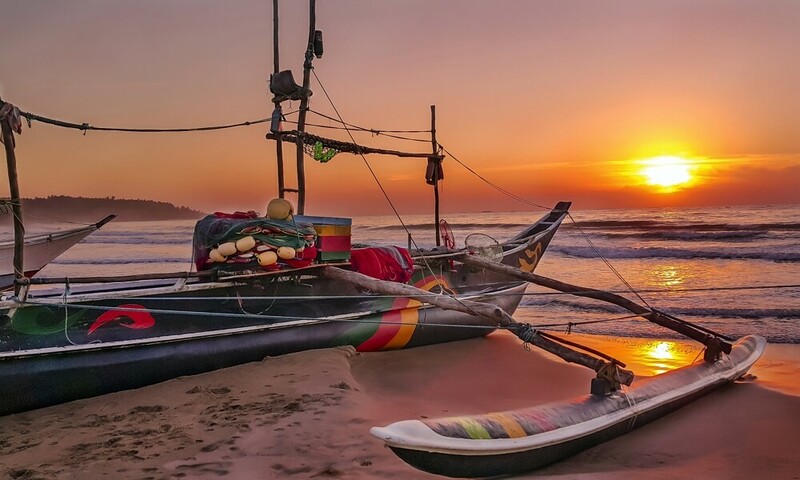 Whether you decide to journey solo or with company, one thing is for sure, you will absolutely fall in love with the beautiful coastlines in Sri Lanka. Surrounded on all sides by the Indian Ocean, there are numerous stunning beaches for you to retreat to. 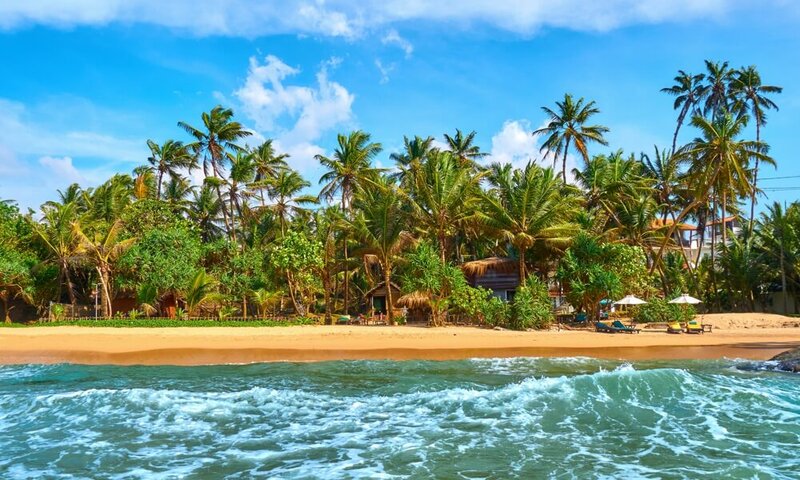 With more than a thousand miles of beautiful golden beaches fringed with coconut palms, Sri Lanka is the perfect destination for a relaxing beach break. The combination of delicate sands, delicious local seafood and carefree abandon will tempt you to stay and never leave. It really is that special. There are several exotic hideaways you can explore and depending on the season, you can pretty much vacation in some idyllic place in Sri Lanka throughout the year. Should you decide to visit the south and west coast the best time to visit is between December and April. If you are headed east, then April to September is more suited for perfect beach weather. Koggala remains one of the best unspoiled beaches in Sri Lanka despite its close proximity to the popular tourist resort of Unawatuna. The long stretch of beach at Koggala is however, more of a carefree travellers secret. If you are set on a destination that will de-stress you then you would love Koggala. Koggala’s ancient Buddhist temples adorned with murals give visitors a sense of mystery and calm. The small town is home to rare species of turtle, hosts the gorgeous Koggala Lake and you can even discover some dazzling cinnamon plantations and spice gardens. The palm-fringed beach is also a short distance from the stunning botanical gardens and wildlife parks. Another wonderful sight on Koggala is the local fisherman perched on wooden poles in the surf angling for fresh fish. The best time to explore this unspoiled paradise is between August and October. Along the western coast of Sri Lanka, approximately 40km from Colombo, lies the invitingly warm and sunny resort of Kalutara beach. The small but lively seaside town has one of the nicest beaches in Sri Lanka. A huge stretch of fine golden sand, fringed by exotic palms that is a sweet spot for keen beach swimmers and sunbathing enthusiasts. Talala is an ultimate getaway for those how want to find unspoiled natural beauty. Precious blue waters, golden sands and a beach lined with lazy palm trees and lush lawns. 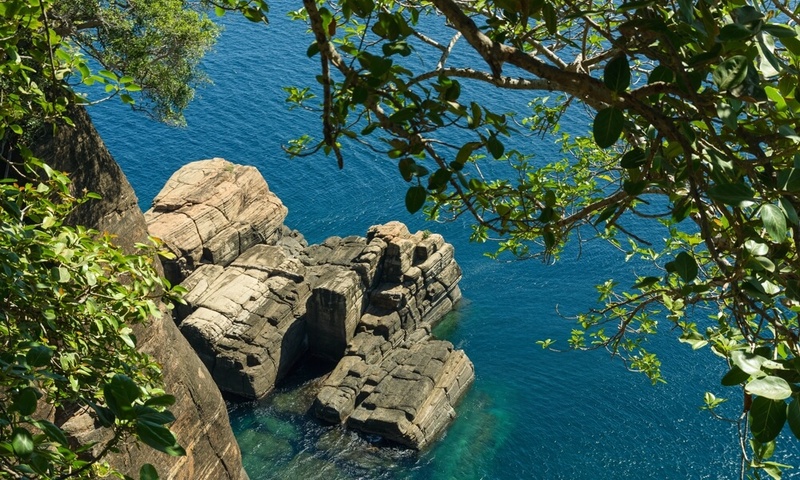 In this secluded cove you can appreciate nature in its purest form. The beach is clean and free of crowds all year and while the strong winds on most southwest beaches make them uncomfortable at times this secluded cove offers a quiet shelter safe for swimming and exploring. 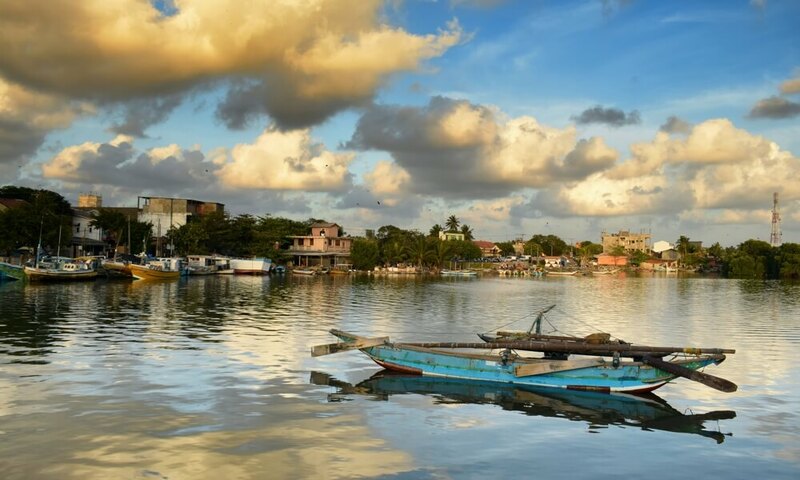 An exquisite coastal region found in the Western coastal belt, north of Colombo, Kalpitiya is a charming beach that offers opportunities for seaside relaxation but more interesting, the beach is also a starting point for off-shore whale watching and dolphin watching. The sperm whale sightings tend to be higher between February and March. Boat tours are regular from Alankuda beach and visiting Kalpitiya can feel like going on an ocean safari. 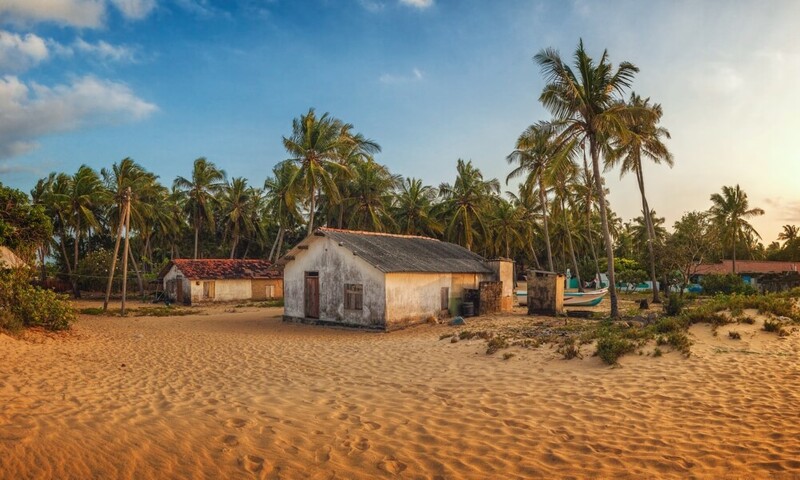 The nearly 50 km long Kalpitiya peninsula is studded with fine sandy beaches which can make anyone crave an overdue quiet escape to just that sort of destination. This town breathes the spirit of the sea and is ideal for sun and sea lovers. It’s a great place to take strolls along the shore, kite surfing, snorkel, and more importantly, just enjoying chilling. Negombo is truly fascinating. Daily life in the town is idyllic and you will love Negombo’s tasteful sea inspired cuisine. Near the beach you can observe fishermen using hand built outrigger canoes or practicing their traditional techniques. Negombo is just over 5 km away from the Bandaranaike International Airport. Popular with surfers, Arugam Bay has superb waves that roll in from the Indian Ocean. 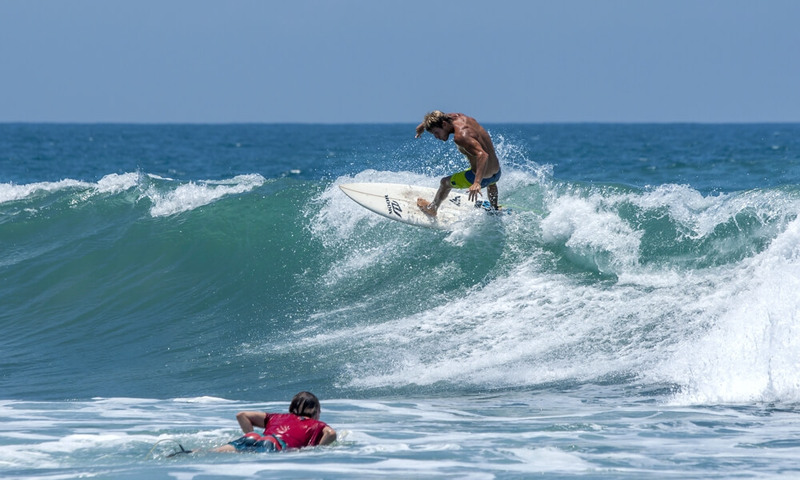 Renowned surf spots include Pottuvil Point and Whiskey Point. 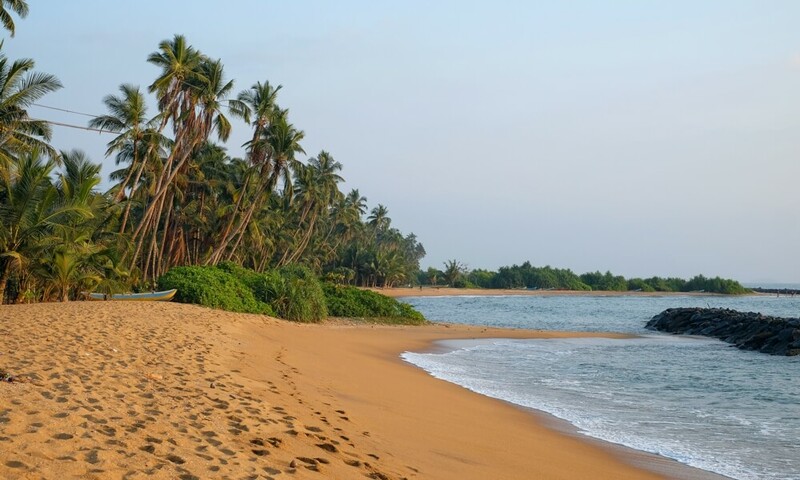 Its golden sands, sunshine and quality surf make it one of the best beaches in Sri Lanka. If sipping cocktails in a beach shack is your thing, then Arugam Bay is a great place to spend a day watching the surf. For a bit of adventure try heading out to the coral reef in front of the beach village which hosts an array of tropical fish and is a delightful snorkelling haven. 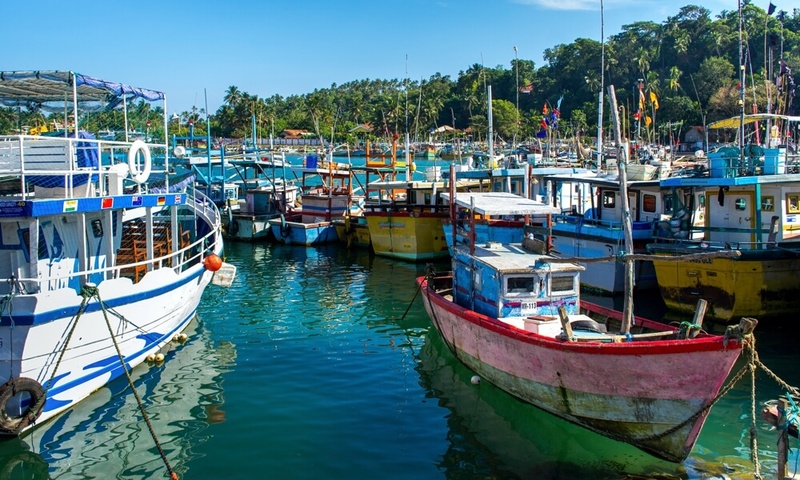 Along the south coast of Sri Lanka is the lovely resort town of Tangalla with marvellous golden sand, a freshwater lagoon, a fishing harbour and an unspoiled beach. The visually appeasing dark blue ocean is refreshing and relaxing, perfect for swimming but most of all perfect for sunbathing. The sunsets are breathtaking in the district of Hambantota and private beaches and coves along the coast are simply to die for. 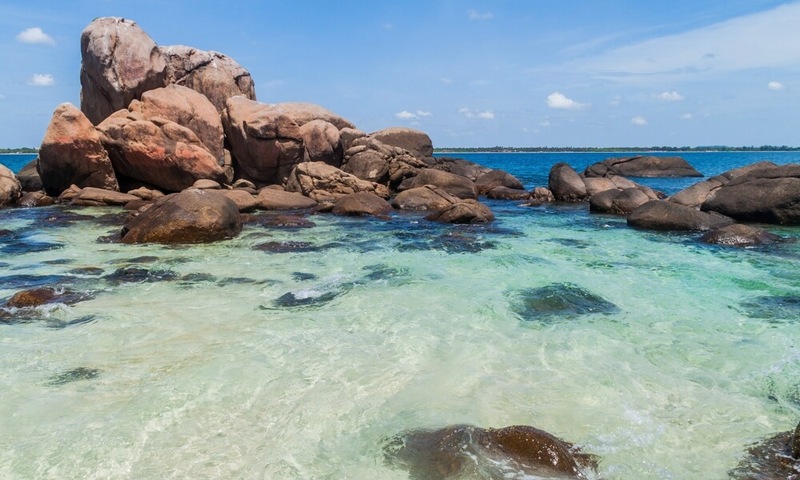 Located in the East Coast of Sri Lanka, Passekudah Bay is the perfect spot for sea-bathing. IT shares its shores with Kalkudah Beach, which is great for surfing and wind surfing. 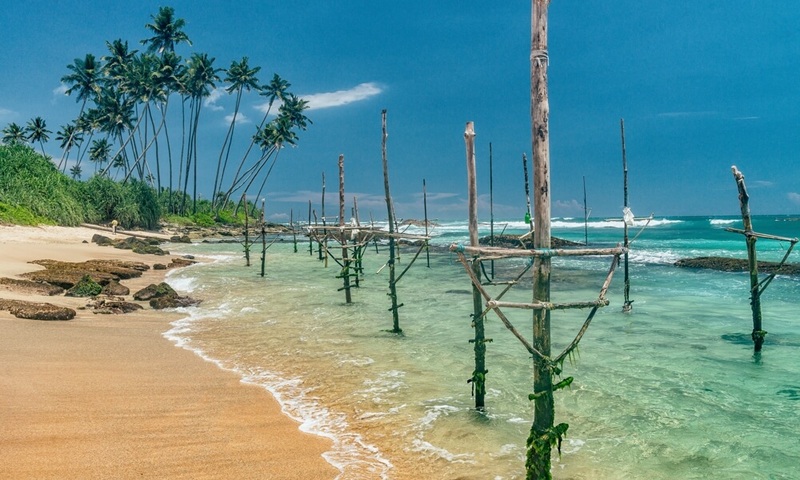 If you fancy some adventure in South East Asia then these two beaches in Sri Lanka are definitely a worthwhile destination. 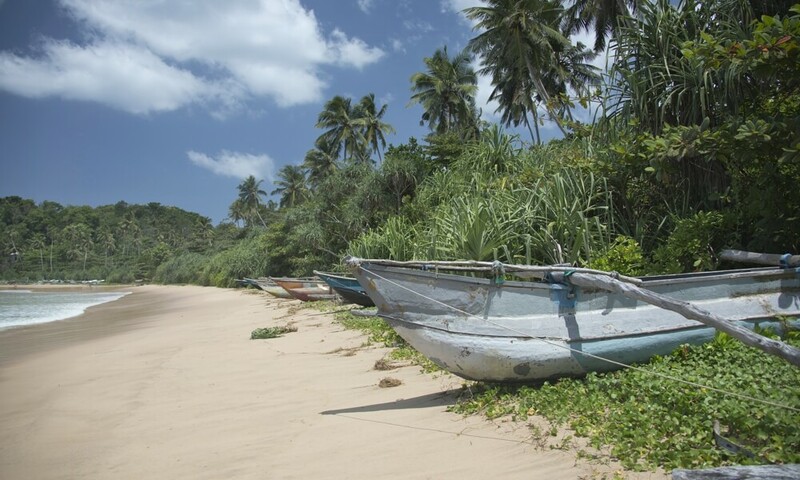 This part of the east coast of Sri Lanka has arguably the most untouched stretches of beaches in the country. Here you’ll also discover numerous tropical fish and exotic coral reefs. The combined area of Kalkudah and Passikudah was even declared a National Holiday Resort for Sri Lankans. 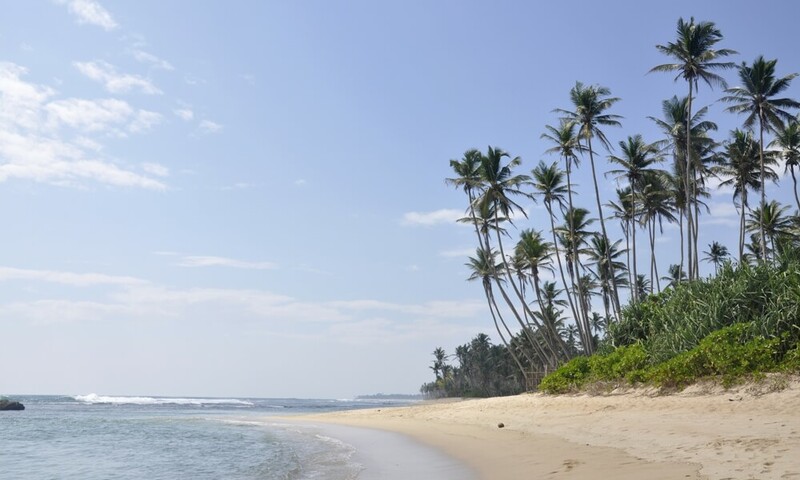 Located in the district of Matara, Polhena beach is another of Sri Lanka unspoiled beaches. It has a natural swimming pool created by coral reef and is protected from raging waves. Ideally between April and September you can enjoy snorkelling or just relaxing by the water in the nice, warm weather. In Polhena, you can also have the pleasure of observing turtles from the turtle view balcony terrace.